NBC just announced a few new shows that the network will be adding to the lineup for the 2015-2016 TV season. Luckily, those shows have been in various stages of development for some time, which means the network has footage to share for the new programs. Wesley Snipes has signed on with the network for the new drama The Player, and now we’ve got the first look at the high profile NBC program. Flashy and seemingly fantastic, The Player will follow Alex Kane, a smartass security consultant played by Philip Winchester. 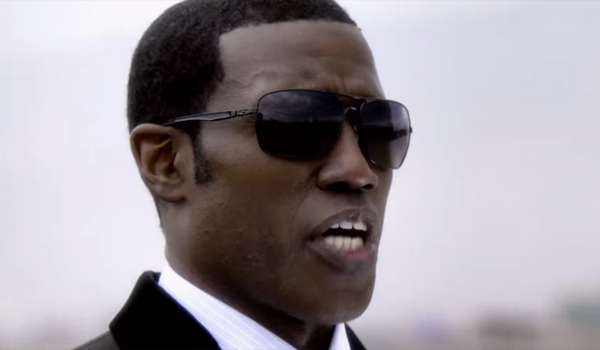 About a minute into the trailer, he’s forced into a situation where he meets Johnson and Cassandra, two intriguing figures played by Wesley Snipes and Charity Wakefield, respectively. They hope to bring Mr. Kane into their secret crew, an organization which allows them to “professionally gamble” on crime. Here’s how that bit of insanity works. Apparently, a bunch of rich people physically gamble on the team’s ability to stop major crimes in their tracks, before they actually happen. I know, it's wild, but it does have a lot of Wesley Snipes. Overall, the gambling references in the trailer are a little cheesy, but the action segments and overall attitude of The Player is not. In fact, The Player’s main function seems to be to serve as a good companion series to The Blacklist, another catchy show that features intriguing characters taking down big baddies. NBC just released the fall TV schedule for the 2015-2016 season, and Thursday nights are going to look very different when the new season starts. It looks like NBC is still going to try to make The Blacklist happen on Thursdays, airing the drama at 9 p.m. ET. The rest of the night will be new stuff, with Heroes: Reborn airing at 8 p.m. ET and The Player airing at 10 p.m. ET. We’ve actually known The Player would be happening for a few months now, but it may not sound particularly familiar. When NBC broke the news that Snipes and Winchester were heading to the network channel, the pilot was rolling with the title Endgame. The Player actually seems to work a lot better with that background in mind. John Rogers wrote The Player; in addition, he, along with John Davis, John Fox and Bharat Nallu all serve as executive producers. Nallu also directed The Player. It’s hard to tell if this one will be a success or not, but the show is starting off well by nabbing Snipes and Strike Back's Winchester for the small screen.